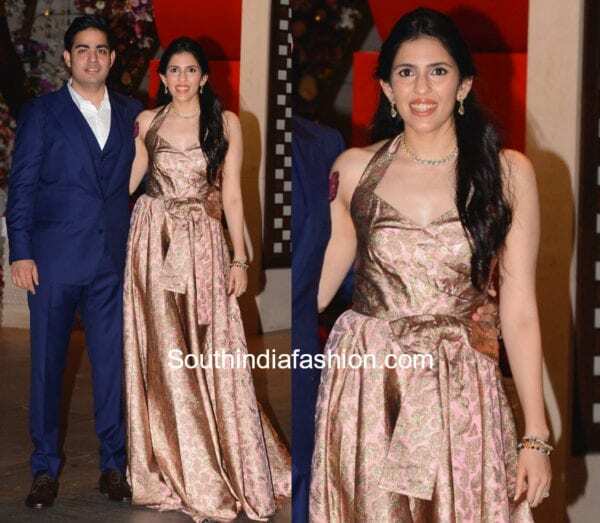 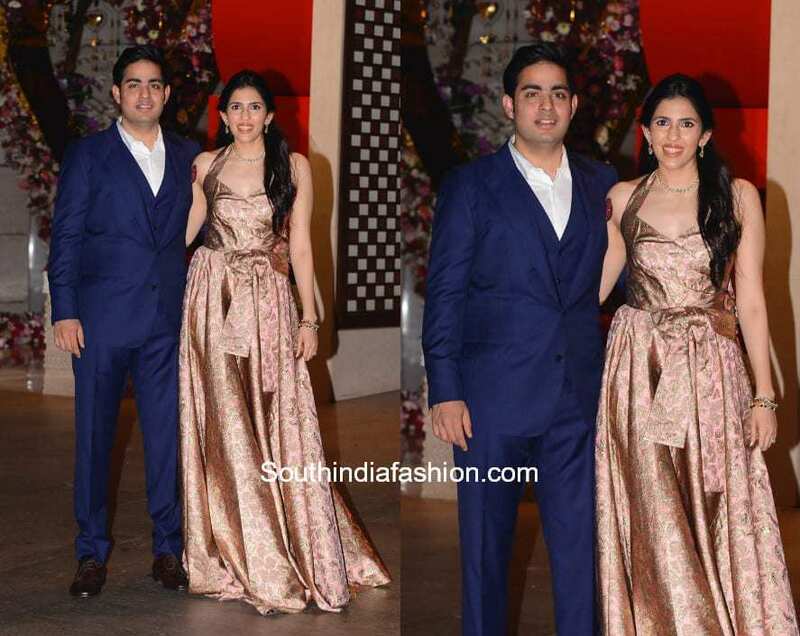 Akash Ambani and Shloka Mehta’s pre engagament bash was a grand affair. Akash wore a royal blue suit and Shloka was seen in a halter neck rose gold gown featuring a tie-up bow on her waist by Prada. 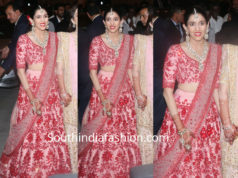 Delicate diamond jewelry and half pulled back hair-do rounded out her look. 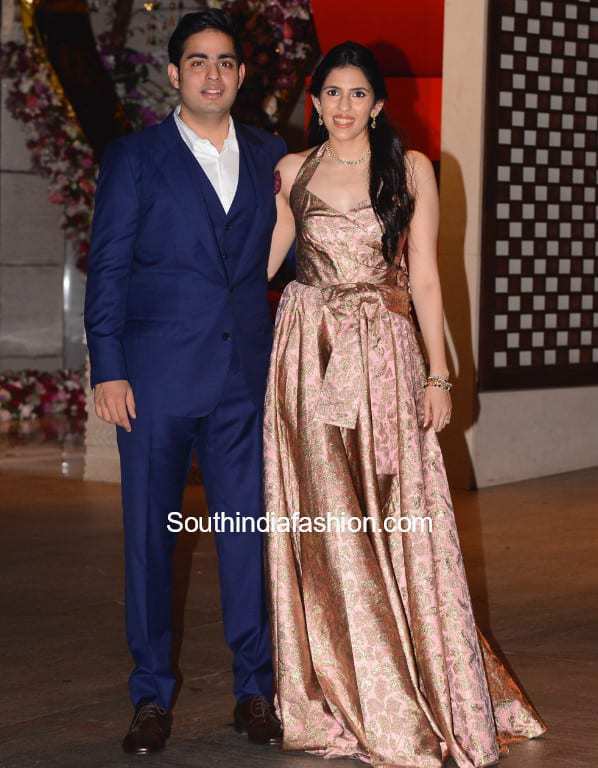 The couple looked good! 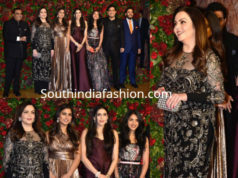 Ambani Family At Deepika-Ranveer Wedding Reception!